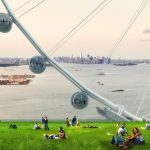 Local officials in New York City have recently announced the plans for a new tourist attraction that would boost economic development in the Staten Island waterfront area: the world’s tallest Ferris wheel. 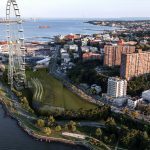 The structure will be developed by a joint venture between the New York Wheel LLC and local development company BFC Partners and is predicted to become one of the city’s landmark attractions. 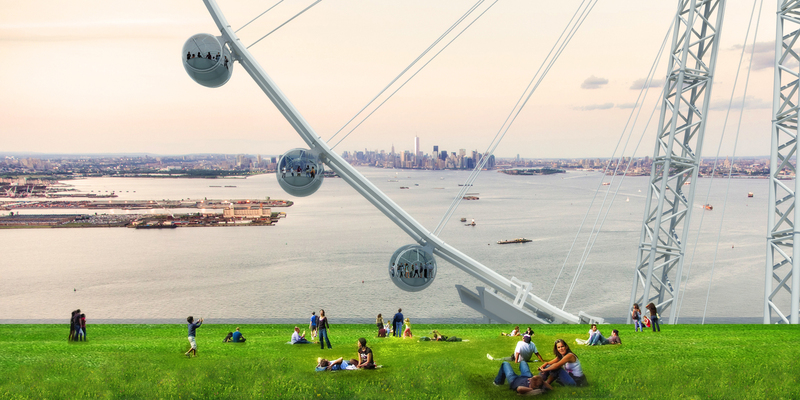 “The New York Wheel promises to become one of the City’s–and the world’s–great landmark attractions, alongside the Statue of Liberty and the Empire State Building. 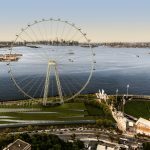 Located on the northeastern side of Staten Island (St. George), the 630-foot, or roughly 60-story, attraction will be the tallest observation wheel in the world and the only one in New York City. 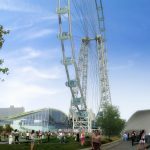 The Wheel will accommodate up to 1,440 people per ride, welcoming as many as 30,000 visitors per day and an anticipated 4.5 million visitors per year. Ticket prices are estimated to be in the range of $20-$30 for approximately 38-minute ride. 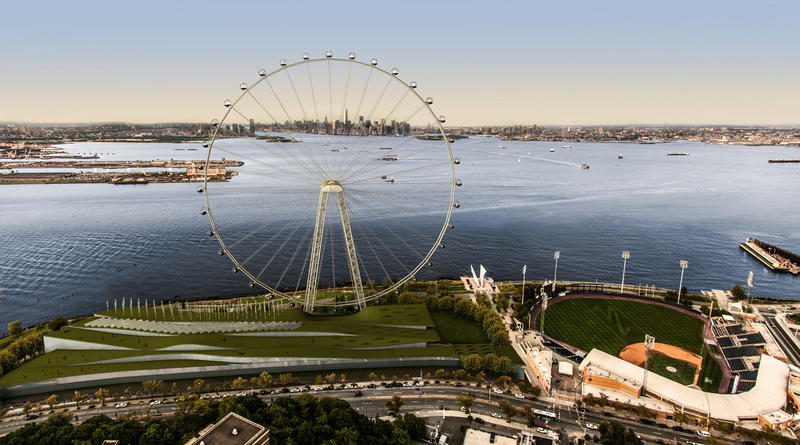 The New York Wheel is expected to open on New Years Eve, December 31st, 2015. Simultaneously, another development group, BFC Partners, will be building Harbor Commons, a $230 million, 350,000-sq.-ft. outlet center on the opposite side of the St. George terminal. The project will include approximately 100 designer stores, a 120,000-sq.-ft., 200 room hotel and a parking garage. 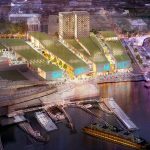 “Harbor Commons will be the first outlet center in New York City that offers the retail sector a singular and unique opportunity to expand their brand presence in the most vibrant retail market in the country,” said Donald Capoccia, managing principal and founder of BFC Partners, in a statement. Construction on Harbor Commons will start in the winter of 2014, with completion scheduled for 2016.